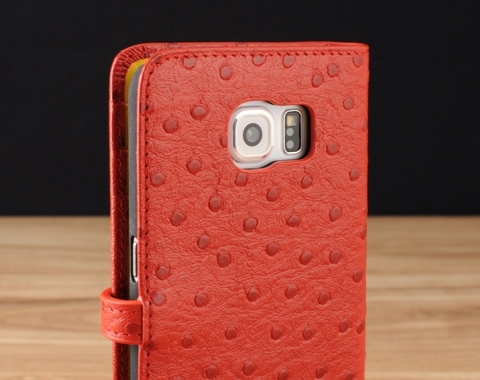 Genuine leather wallet case for the Samsung Galaxy S6 / S7 / S8 / S8+. 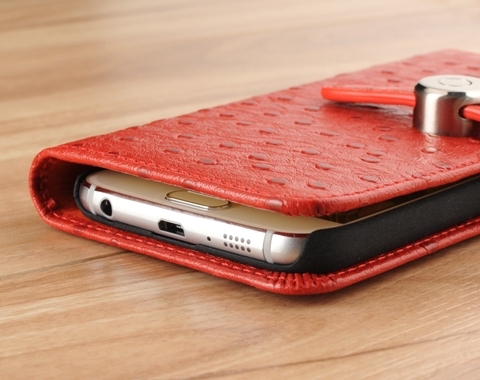 The wallet case is versatile in design to consolidate your wallet and phone storage all in one classy setting. 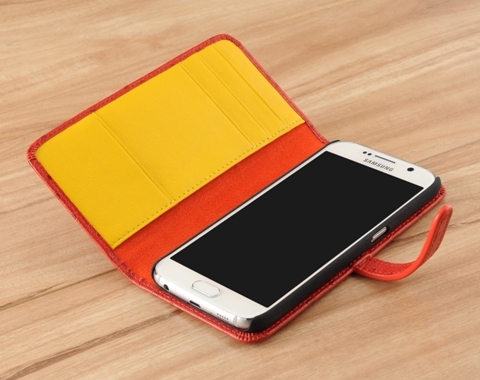 Using the finest workmanship, our team of leather artisans beautifully wrap a polycarbonate shell with your choice of genuine leather color and texture to give your Galaxy S6 / S7 / S8 / S8+ a touch of class and style. 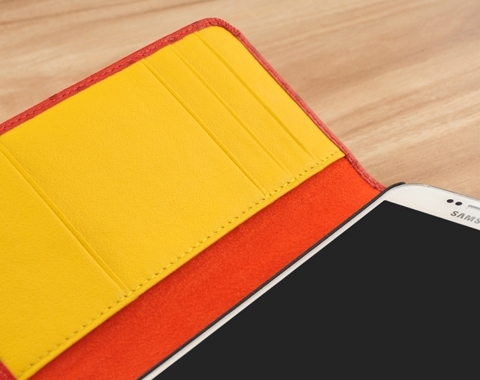 Allow for one card slot whether it be a driver's license or a credit card to travel light. Not sure what I was expecting, but I'm underwhelmed. The clasp is HUGE and rather unsightly...I hate the clasp!! The initials wasn't a good expense...you can barely see them. It is what it is...I bought it...I have to live with it. My wife picked out her choices in design and color. She seems happy with the product. It appears well made and the fit is proper. If we find the need we will purchase from Storyleather again.